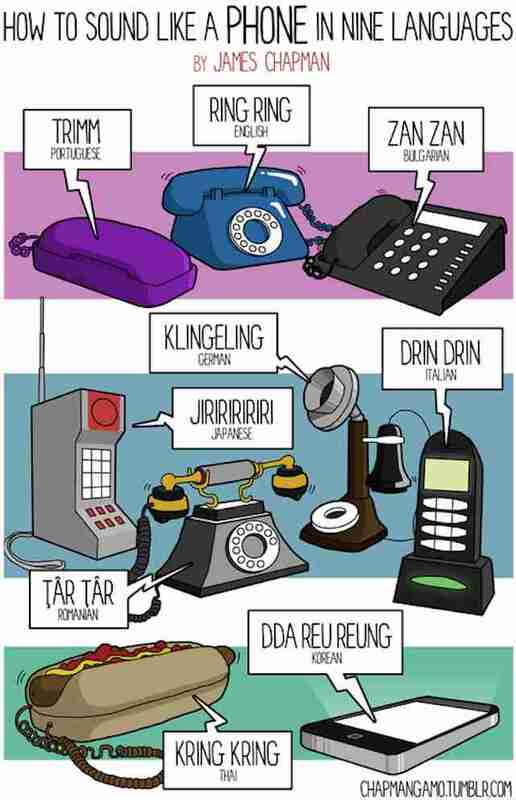 Obviously different languages have different words for things, but did you know they also describe sounds differently? 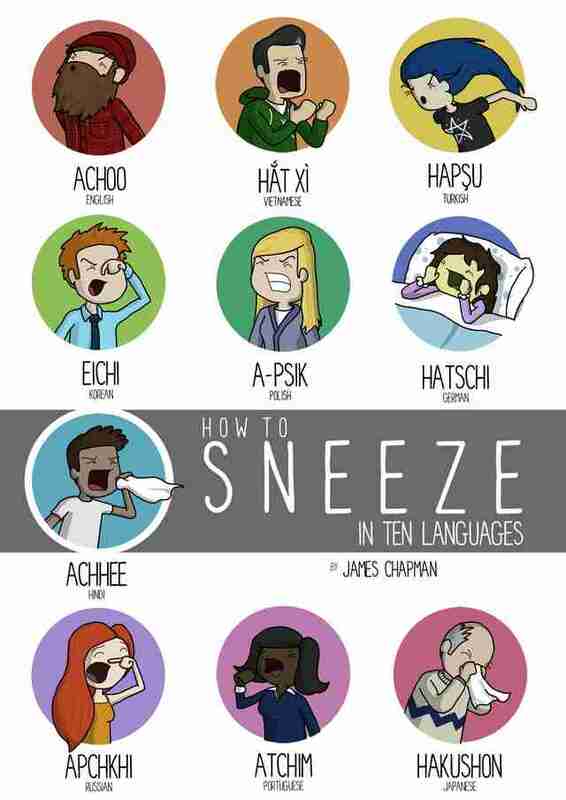 Yes, a sneeze in English (achoo!) 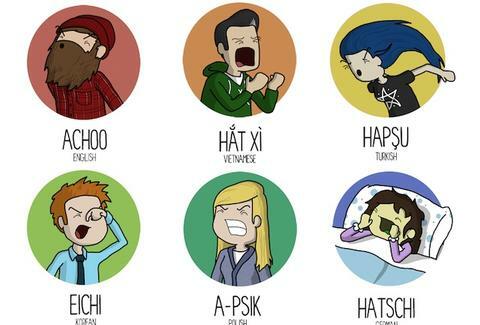 doesn't sound like a sneeze in Polish (a-psik! ), at least when written. 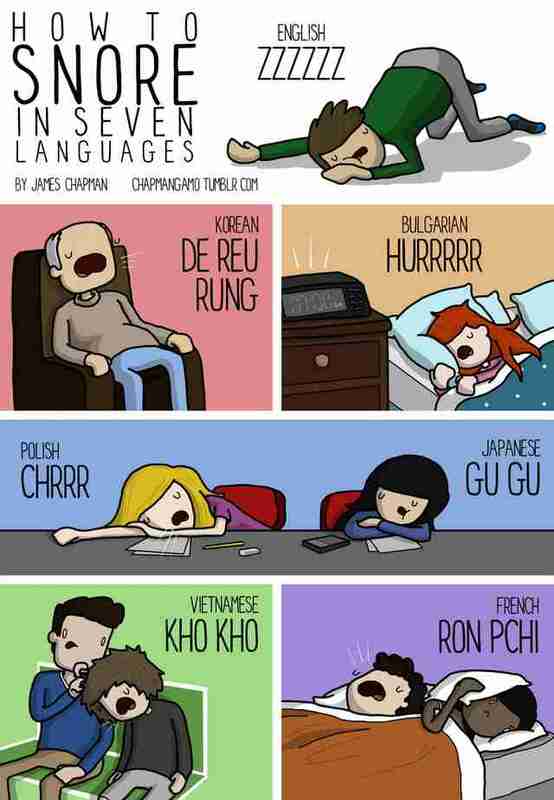 Same with snoring, and chewing, and telling people to shut the hell up in a crowded movie theater. 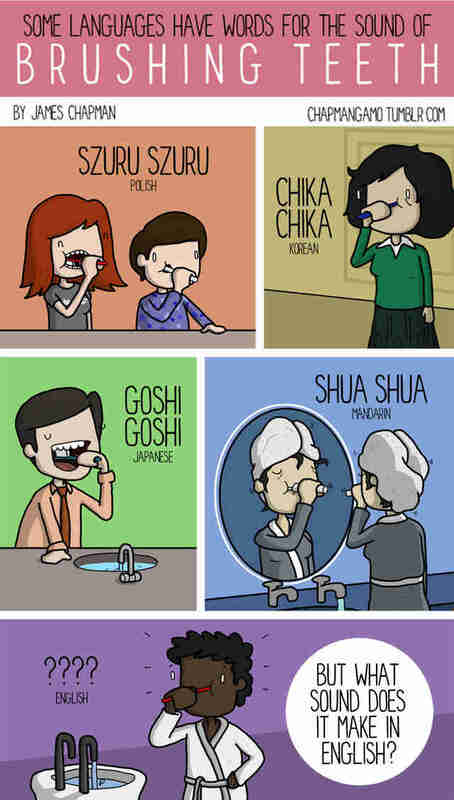 To help ensure you're making all the right sounds on your next trip abroad, English illustrator James Chapman created these fun cartoon guides to foreign noises. 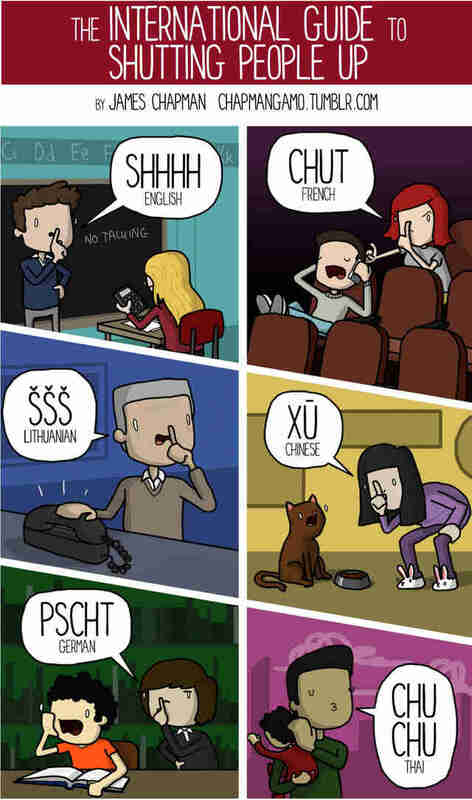 Want to know what a dog sounds like in Dutch? How about an Italian cat? Find out (as well as buy yourself a poster), right here.